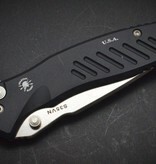 Pallas (PALE ES) was the Titan god of war craft, a fitting name for this folder. 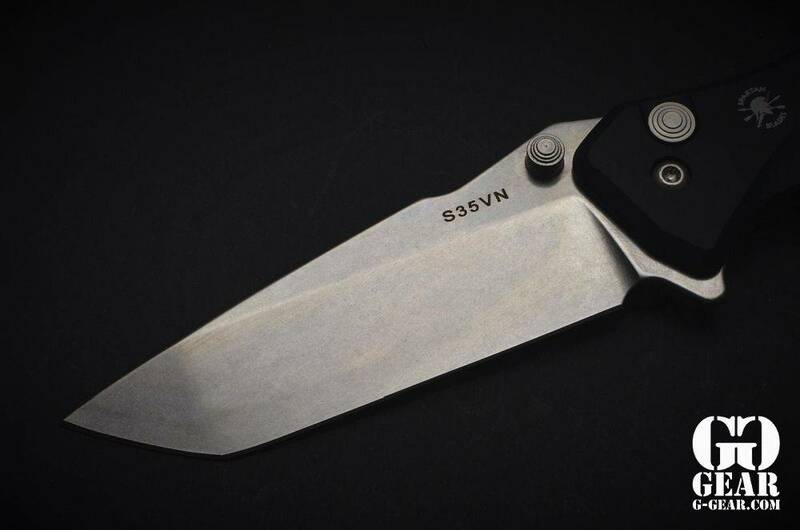 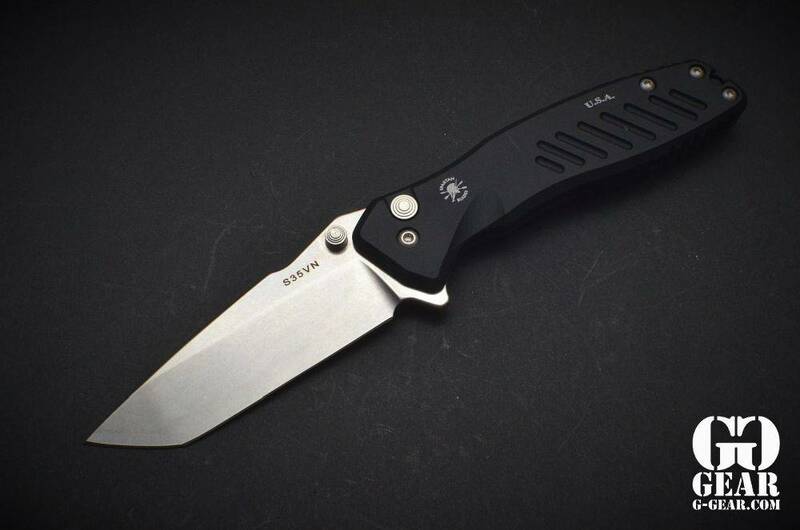 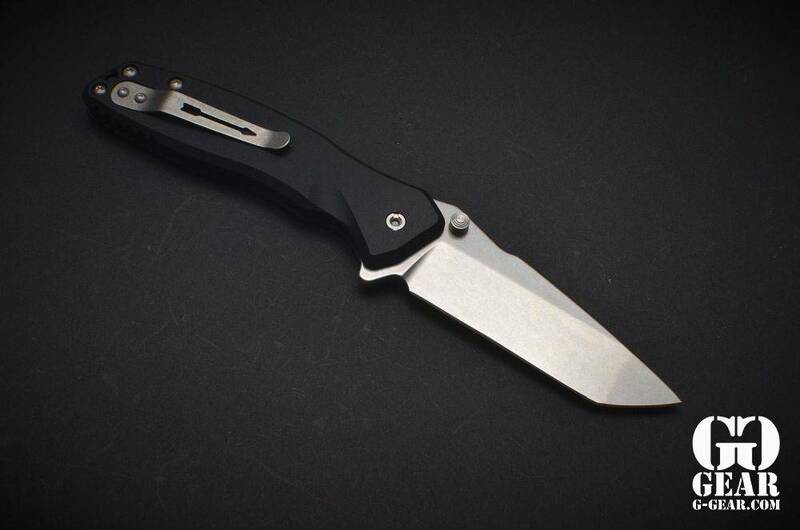 A beefy blade of CPM S35VN rides on a set of alpha bearings in a 6061 aerospace aluminum frame. 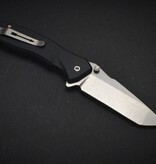 The blade can be opened easily with the flick of the thumb stud or flipper tab. 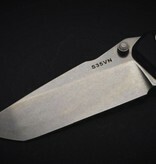 The hardware (button, thumb studs, spacers and screws) are all stainless steel. 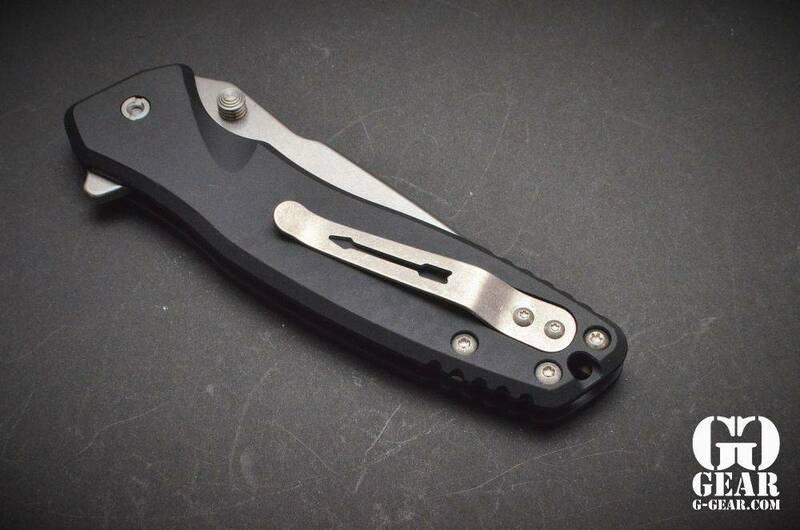 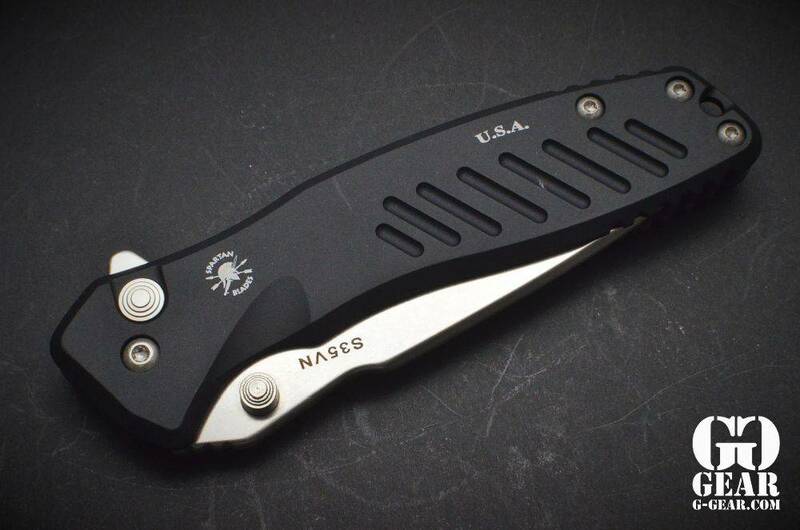 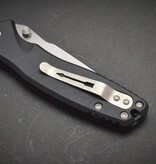 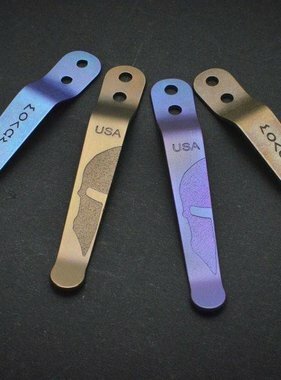 Spartan Blades signature titanium arrow clip for tip up carry will hold it securely in your pocket. 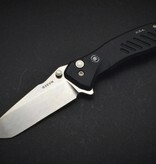 This knife is not an automatic opener.